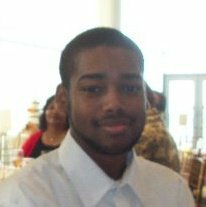 Hi, I am Earl Johnson and I am senior at the University of Kentucky. I will be graduating in December with a B.A. in Psychology. I plan to pursue a Masters of Divinity and become a Pastoral Counselor. This is my life dream to help people with their problems and build their relationship with God. I believe this lab can definitely benefit me when it comes to looking at how people view religion and morality in Psychology. I am excited to have this great opportunity to be in this lab and get experience in topics that will benefit me through my life.